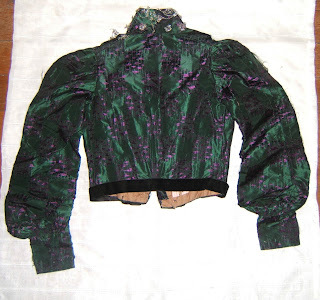 A beautiful silk bodice dating from the latter 1890's. 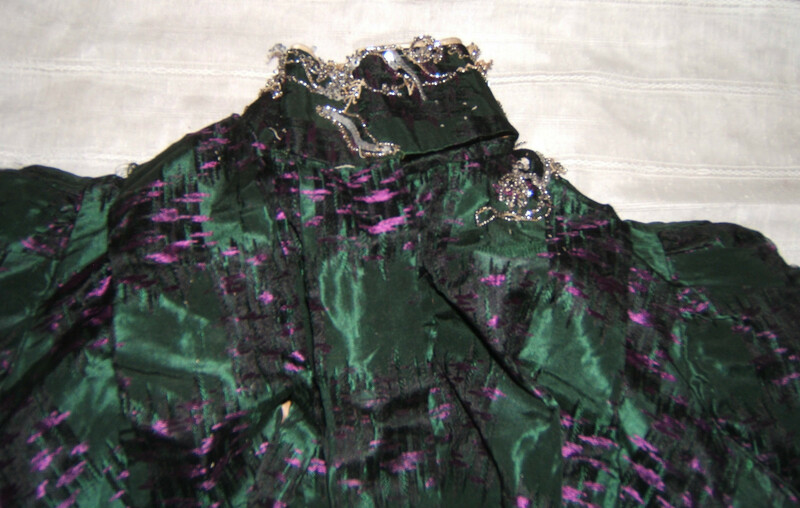 The dark green silk has purple and black figured accents. 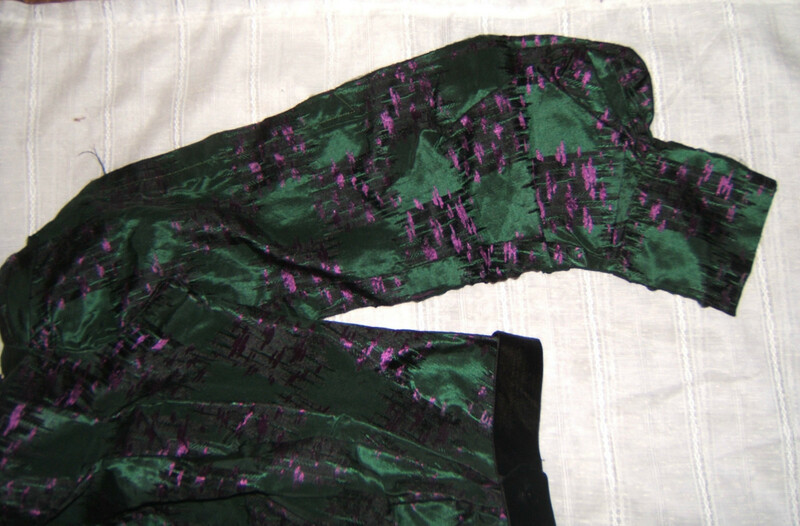 It is splitting in a few places as is typical of silk from this era. It is front opening over a brown polished cotton lining, hook and eye closures, and it is fully boned. The waist is accented with a black ribbon. 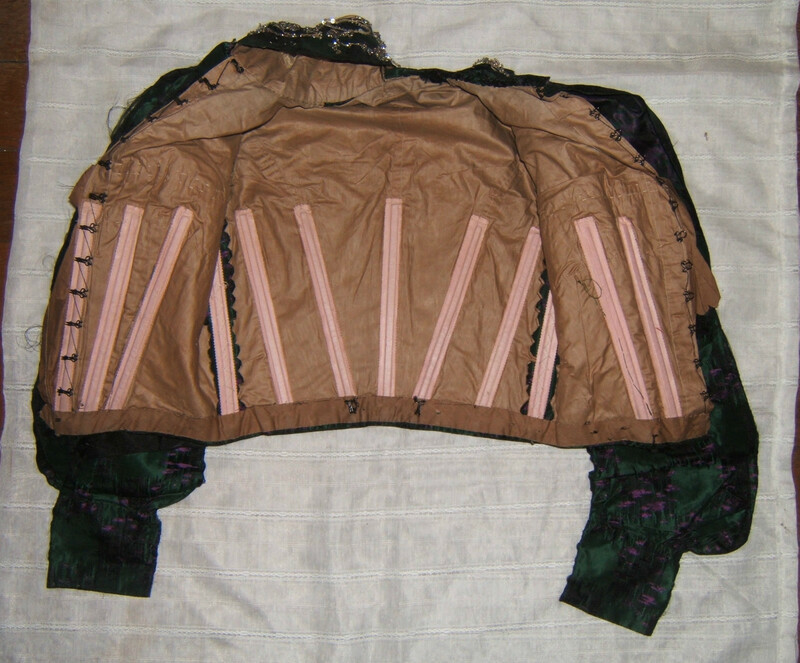 What is particularly fun about this bodice is the little ruffled lining piece to help it fluff out in the front (shown in photos). Some original beading remains around the collar area. 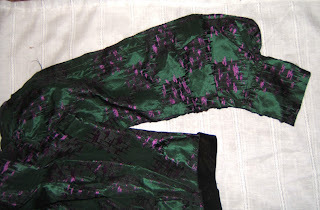 It has long sleeves that are gathered into a wide cuff. As some of you know, my pup, Miss Ginsie, passed away on Monday - hence why I haven't posted earlier. 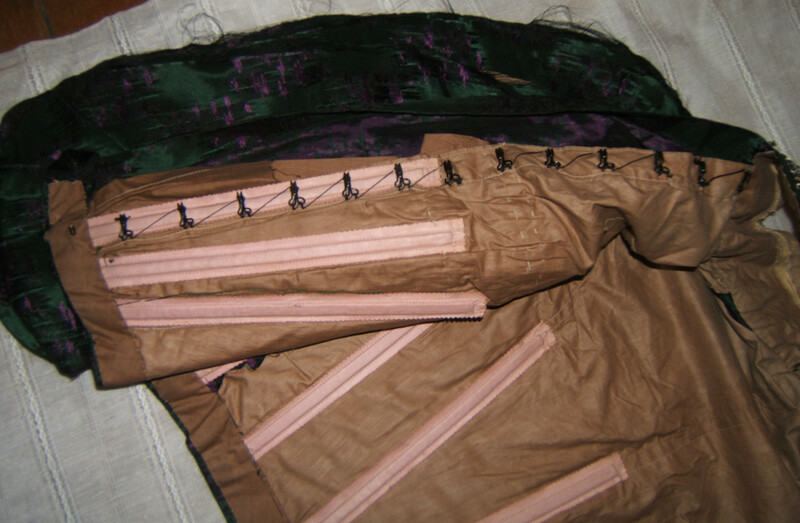 Her favorite color was purple (seriously, she'd yank all the purple fabric out and claim it for herself) so I thought I'd start off this Friday with this bodice. It's most likely very late 1890's/early 1900's. Condolences on your loss of Miss Ginsie. 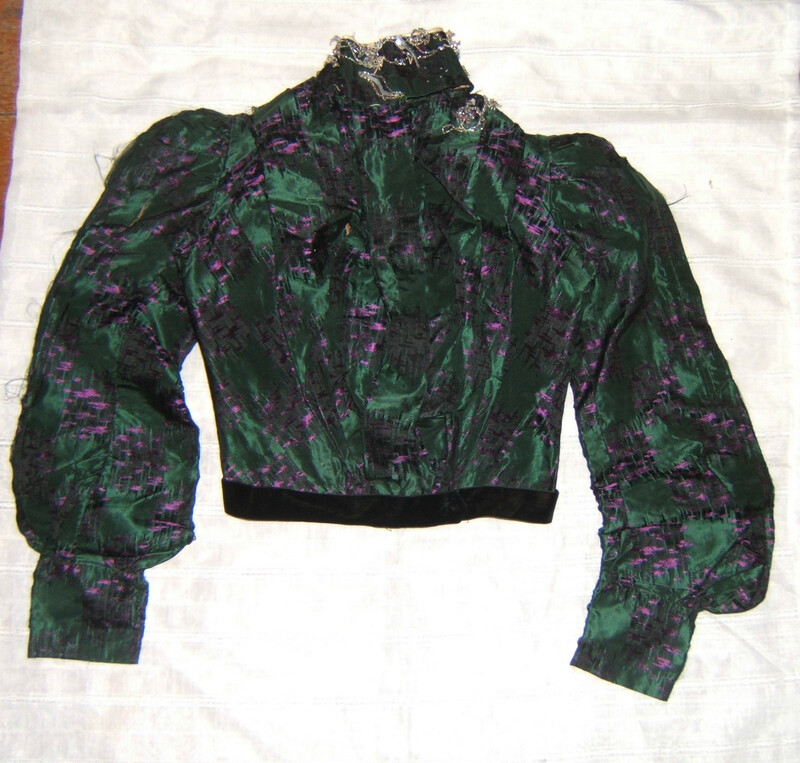 I'm sure she'd have loved this gorgeous bodice. Thank you. 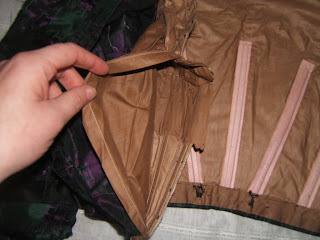 She was a funny little pup who would yank out all my purple fabric to make a bed out of it herself. 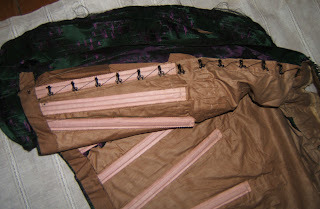 Any other color, she'd most likely pass by.